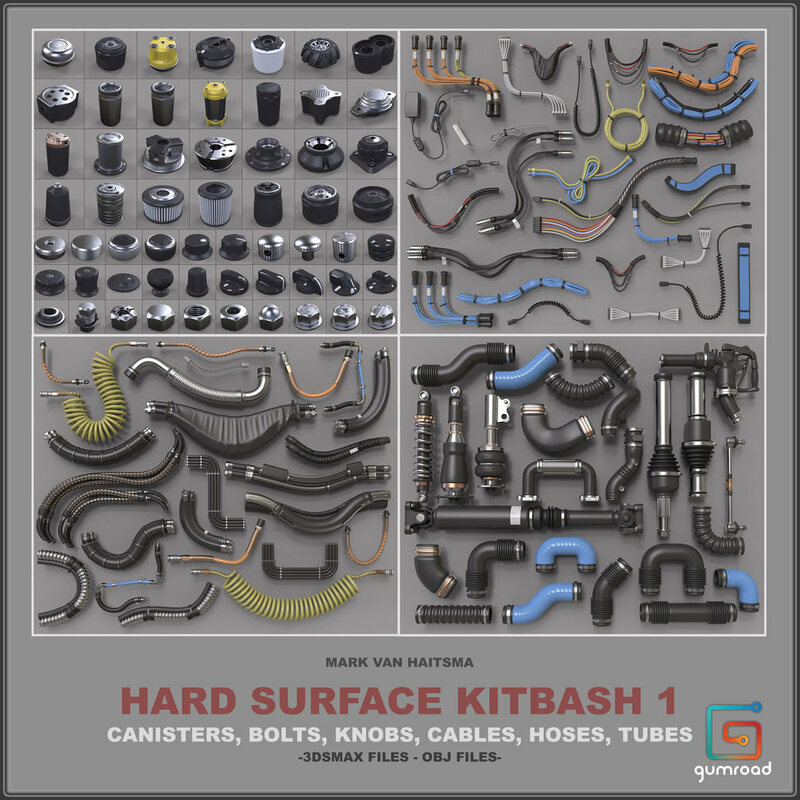 Gumroad – Hard Surface Kitbash Library 1 – Canisters/Bolts/Knobs/Cables/Hoses/Tu|ABC素材网|百度云网盘|下载|破解|uploaded|nitroflare|Crack,注册,KeyGen - Powered by Discuz! This is a 360+ piece set of canisters, bolts, knobs, cables, hoses and tubes ready to be used for high poly additions to your models/concepts. – Models are in Max 2013 format as well as obj. I’ve included “master” Max files that contain all the objects. One file has the objects evenly spaced, and one has every object at the origin for importing ease into other scenes. All meshes are named appropriately with basic material separations. There are no UV’s on the meshes. – Individual jpeg icons have also been included to make it easier to know what piece to import. Aside from reselling these models on gumroad and other asset marketplaces like turbosquid, cgtrader, etc., feel free to use these models for any commercial purpose you can imagine.